Hood on this Mustang shows that engine may be powerful. And exhaust sound increase this feeling. 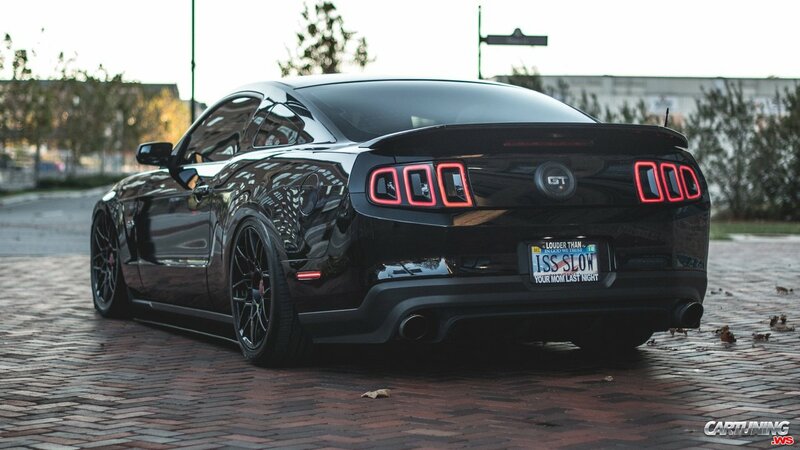 Else this Mustang looks good because is lowered and has cool huge wheels. Black, as the car.